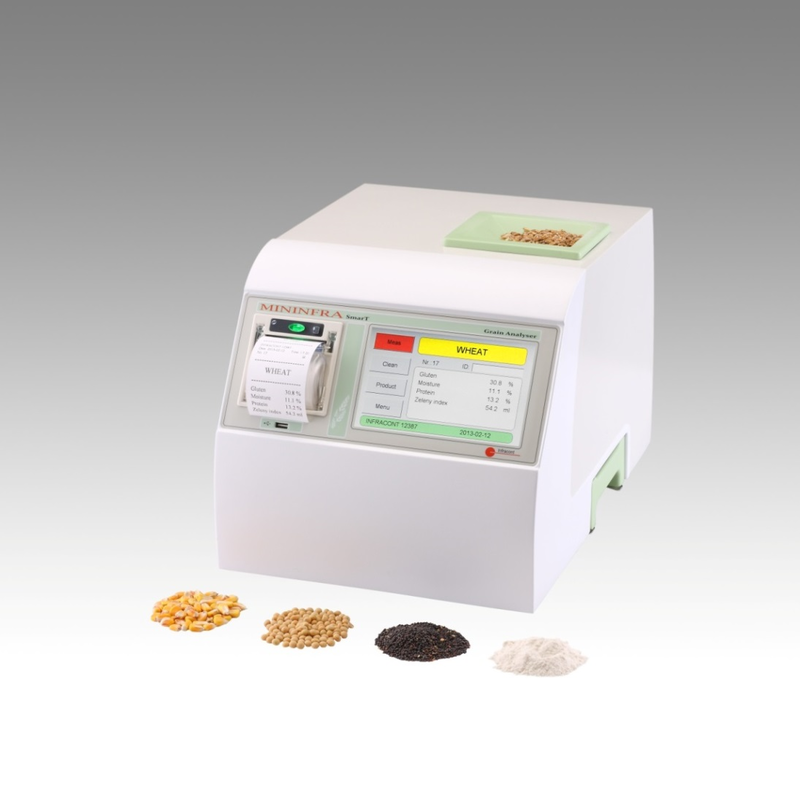 Mininfra SmarT® grain analyser is very easy to use for even a non-skilled average user: thanks to its hopper no sample preparation is needed and the analysis can be started by pressing a button on the large colour touchscreen of Mininfra SmarT®. Due to the applied measurement technology and robust calibrations the accuracy and repeatability of Mininfra SmarT® grain analysers satisfy today’s high requirements so Mininfra SmarT® is a reliable device on all application areas. Mininfra SmarT® grain analyser can be connected and managed through the internet. With the client software to be installed to a PC you can read out the measurement data, statistics remotely and also you can upgrade the newest software versions and the calibrations of the devices from a remote location. Mininfra SmarT® grain analysers are delivered with all available calibrations.